Journaling says: This picture says it all - you are such a happy-go-lucky guy, always up for adventures and going inside churches & castles and seeing new things. You're pretty much awesome and we love you! 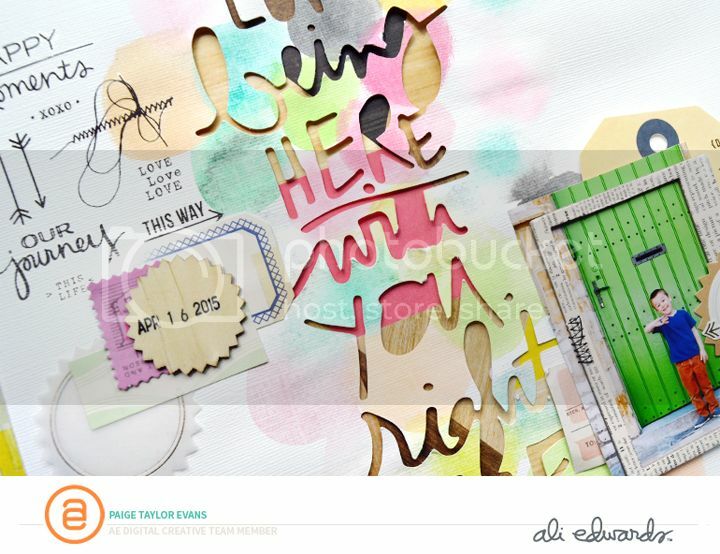 How to: This layout turned out so much different than I envisioned! I was going to use the positive words instead of backing the negative but I liked the negative better and from there it was just a fun creative time! I started by watercoloring circles onto a white cardstock background, blow dried it, and then cut the phrases from the cardstock using a Silhouette Cameo. After peeling away the positive words I backed the cardstock with patterned paper using foam dots for dimension. 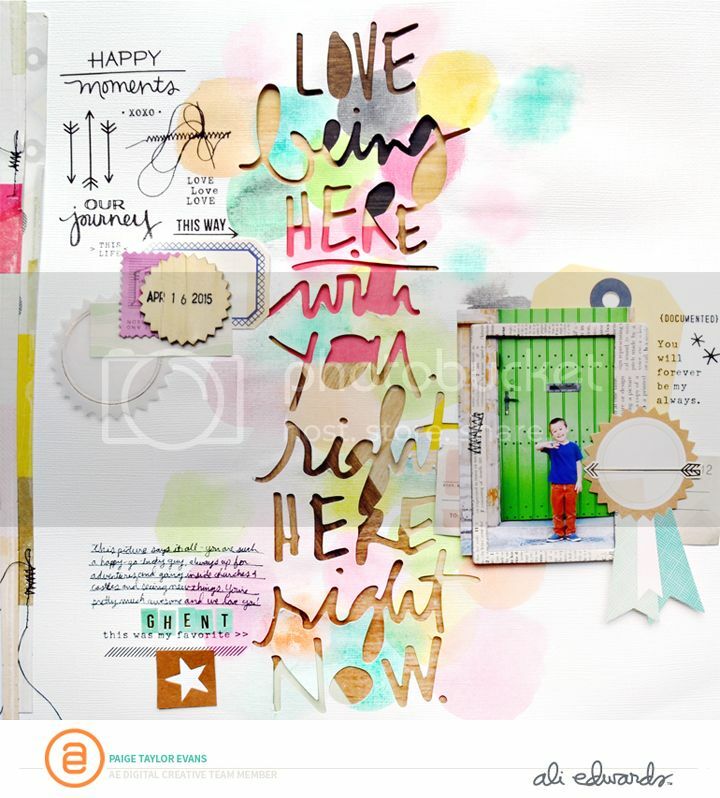 I created three clusters for a visual triangle using bits & pieces from the oldie-but-goodie Notes & Things collection by Crate Paper such as rub ons, tags, a chipboard frame, stickers, wood veneer, vellum, and more. There was some extra white space on the left edge so I layered a couple thin paper strips then added straight and zigzag stitching with black thread. I journaled with a black pen on the bottom left and made the location with mini alphabet stickers. Done! Wow wow wow! You never cease to AMAZE me!! This is gorgeous! LOVING the colors, the title in the middle and loving that action up in the corner!!!! So fun Paige! I love the CP paper layered behind the die cut title! So artsy and creative! LOVE! The One with the Camp Scrap Contributor!